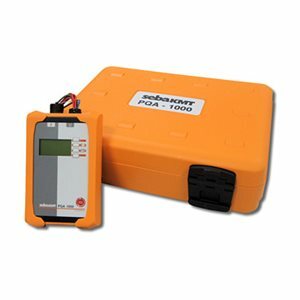 PQA 1000 Basic: the device is suitable for load analysis, datalogging and online analysis of the network. PQA 1000 Standard: this version records about 2,000 additional parameters (harmonics and inter-harmonics) and generates automatic power reports according to EN 50160, IEC 61000-2-2 or IEC 61000-2-4 standards. PQA 1000 Professional: this version adds fast oscilloscope traces and 10 msr.m.s. recordings with advanced trigger functions. The automatic trigger function automatically adjusts all triggers to the network disturbances. The optional ripple control signal analysis makes possible to trigger a ripple control frequency. The complete message will be displayed and disturbances in the signal form can be analysed.